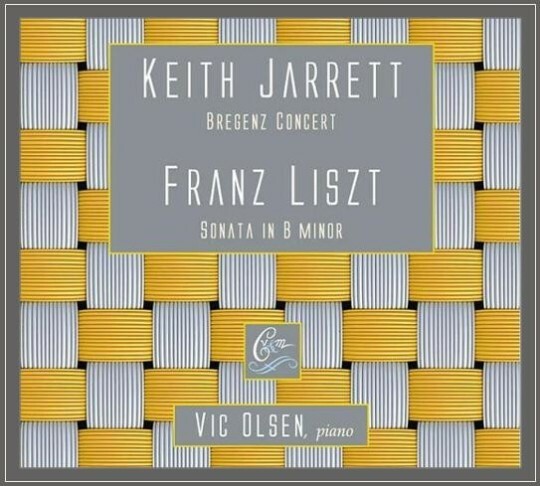 2013 is an exciting year for Keith Jarrett fans. ECM Records has already released / re-released three Keith Jarrett albums (“Hymns/Spheres”, “Somewhere”, and “Bach: Six Sonatas for Violin and Piano”), and will soon release “No End” and re-release “Concerts: Bregenz / München”, in November. That’s 10 CDs worth of music! For the first time in music recording history, an improvised concert by the renowned pianist Keith Jarrett has been recorded in a studio by another performer. 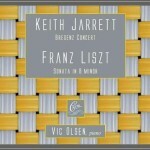 The Bregenz Concert was improvised by Keith Jarrett on May 28, 1981 in Austria. In a widely acclaimed biography titled The Man and His Music, Ian Carr wrote, “The Bregenz/Munich concerts were Jarrett’s most brilliant live solo recordings to date; his level of inspiration is quite extraordinary, and the music covers a wider musical and emotional range than ever. He takes fabulous risks, pushing everything to the limit.” A good many critics would agree. Pianist Vic Olsen has dared to confront the perilous challenge of replaying this vast fresco — and what a job he has done! He brings to life the lyricism, expressive power and polyphonic rapture of this essential and yet unclassifiable music as superbly as when it was first performed. What we are listening to isn’t Keith Jarrett, but it is a celestial, Jarrett-like voice that can be heard throughout Olsen’s outstanding, masterly rendition. More information can be found on cvm-records.com. This entry was posted in Releases on October 29, 2013 by Olivier Bruchez.